Reality Winner's family, "She's being treated as a political prisoner"
Reality Winner’s family talk about what it’s like trying to support their loved one during her Orwellian incarceration. This podcast, produced by Courage to Resist, features Reality’s sister Brittney Winner, mom Billie Winner-Davis, and friend Matthew Boyle. by Courage to Resist | 53:21 min. Billie Winner-Davis: She feels like she’s being treated as a political prisoner and those are her words. Matthew Boyle: She will serve to, close to an entire year in jail before her trial if her bail appeal does not go through, which is pretty uphill battle. That’s what people really need to do is they need to pay attention to what’s going on and how our government is treating her. Brittany Winner: The diet that she’s being fed in the jail, she doesn’t get very many vegetables at all. When she does, they’re canned, but it’s just not very often. Billie: Unless we’re loud enough to make a difference and to really put some pressure on the Department of Justice and the court system it’s really not going to do her any good. She just feels like there needs to be more, there needs to be a lot more focused on what’s going on. We’re all at first when she was first arrested, there was so much media attention to her case, but now there’s very little. Eric Klein: This is the Courage To Resist Podcast. My name is Eric Klein, and working with the campaign to free Reality Winner, which is online at standwithreality.org. I spoke with three people who are extremely close with Reality. Her mother, Billie Winner-Davis, her friend, Matthew Boyle, and her sister, Brittany Winner. You just got off the phone with Reality? Eric Klein: How is she doing? Brittany: She’s doing well considering. To me, on the phone, I think she tries to keep her spirits up. She’s looking for me to also cheer her up and entertain her with things that I did today. We talk about our mom a lot. We’re both worried about her, but. Eric Klein: Yeah. Why are you worried about your mom? Brittany: I think this whole thing has been really hard on my sister obviously but it’s also had a significant impact on our family. Our family is never going to be the same, before and after when my sister got arrested, there’s a definite … People talk about things happening in their life and there’s that line and it’s a before and after line. This is our before and after line. Eric Klein: You just got off the phone with Reality. How often does she call? Is it a unpredictable schedule or did you know that she might be calling you? Brittany: She calls me just about every day, probably in the evening from 7:00 to 8 PM. It’s uncommon for me not to hear from her. Eric Klein: What’s going on with your sister Reality Winner these days? What’s new? Brittany: She was really excited, because she thought that the, “Catch me outside girl” got into jail at the same time that she was there. Do you know who I’m talking about? Eric Klein: I am unfortunately right or fortunately vaguely aware of who this person is. She’s a very young person who’s famous for doing something, that’s the best I can do, doing something. Eric Klein: She’s there at the same county facility that Reality is being held at? Brittany: Yes, but she was only there for about two hours. Reality just told me today, but Reality got to teach her how to do squats. Eric Klein: No way. Catch me outside girl was there, because she got in trouble? Brittany: I guess. Why else do you go to jail? Eric Klein: You could be visiting. That is a delightful coincidence. Thank you for sharing that with me. Eric Klein: I feel like I should rush to Twitter right now to report it, so that I can have the scoop. Brittany: I asked Reality, I’m like, “Are you sure it was her?” What was funny was that we have this app called, “TouchNote.” I don’t know if you’re familiar with that, but you can take any photo on your phone and you can turn it into a postcard that then gets mailed to whoever you want it to be. Since I’m really bad at writing letters, and I’ve just been sending my sister lots of pictures and memes, and just everything else that like I could find on my phone or on the internet, I’ll just turn it into a postcard and I’ll send it to her. The other day, probably about a week ago or so, I found that she had sent me catch me outside girl. Of course, I turned that into a postcard and apparently, that arrived today, which was really poignant for the arrival of the catch me outside girl. Reality is fairly certain that she was there in the same facility, which is amazing. Eric Klein: I love that you guys, because she can’t text, you guys can’t exchange memes on the fly like you would’ve before she was? Brittany: We were always doing it before, but yeah, and it’s been sad, because I feel like she’s also cutoff from there’s so many great memes out there continuously. You miss a week and you’ve missed like a year. Eric Klein: Yeah, but you can send it to her as postcards and then she gets it in the snail mail. Oh boy. Brittany: That’s right, but she has it forever at least in her hands at least. It’s better than nothing. Eric Klein: That’s exciting. Brittany, what do you want people who are listening to this to know? Brittany: I want people to know that the conversations, the private Facebook message conversations that the prosecution took wildly out of context is not easily understood by anybody who isn’t us. Out of the hyperbole that we used or a lot of the joking around, I mean, if you think about your own conversations with your siblings, you have your own way of speaking. My sister doesn’t hate America. Eric Klein: Yeah, we should talk about that specifically then. In case people were not aware, your Facebook chats that you guys were just playfully being sisters was used by the prosecution to paint a picture of Reality as very dark picture, really. I don’t want to be too hyperbolic about it, but how would you describe what the prosecution did with your words and Reality’s words? Brittany: First of all, we were constantly talking to each other on Facebook messenger and it was we’d send each other pictures of our cats, of memes, of recipes, of just anything. We don’t always talk about important things either. There were some times that we did talk about things that were somewhat serious like when my dad passed away, our dad passed away in December, certain big life events happened. We talk about those, but yeah. Brittany: We did talk fairly often though. Eric Klein: In part of that back and forth between sisters, there was what? Brittany: Are you asking me what the prosecution brought up? Eric Klein: Yeah and how they framed it and how you would describe what it was? Brittany: Right. One of the things they brought up was about how Reality needed a polygraph test for her job, and she was joking that she was going to fail. I knew that she was making a joke, because who would … She applied for this job, why would she fail the polygraph? I think that she was just, she was being silly and hyperbolic. I think that she’s very intelligent. Both of us are, but sometimes we like to pretend like we’re not going to pass things. We’re going to fail. Oh no, it’s like a test. Then she said something to the effect of, “I only say that I hate America 10 times a day,” adding to this joke of, “I’m going to fail the polygraph test.” That’s what the prosecution picked up on was, “Well, she says that she hates America.” Then in my message, I’m usually the voice of reason. I tend to be a little bit more serious in our conversations. I’m the older sister, right? I have to be. I said, “You don’t really hate America, right?” She goes, “Yeah, I do, because well the reason, air conditioning is the reason that the planet, et cetera, global warming, climate change, et cetera were ruining the planet,” which I think to younger people, it’s clearly a joke saying, “I mean” is her … If you were to speak to her in person, she’d say, “I mean,” and then she’d be rolling her eyes. Then you’d know that doesn’t mean that she actually means it, that she’s joking. I think that sometimes in our humor when we would talk to each other, we’d escalate things a little bit too far sometimes like taking a joke a little bit too far. I knew even before I asked that question that she doesn’t hate America. Eric Klein: Yeah. Why do you know that, Brittany? Brittany: Because she served America for six years. She’d joined the Air Force when she could’ve just gone to college. She cares so much about democracy and everybody being able to vote and choose the government that they have. She wants that. She wants democracy for Syria for example. She wants people to be able to decide their own government. Eric Klein: Yeah, it’s really remarkable. We would all be screwed if somebody went through every chat, and I’m just saying “we” as in every single person that I know of. Let’s just take every single person on the planet below the age of 40. If all of our chat log were combed through for the most extreme words that between friends. Eric Klein: We’d all go to jail if those words were serious, if those words were crimes. Brittany: It seriously makes me cringe though, because we talked about so many private things. I said so many private things that the FBI were just able to look through and I feel like my privacy has been violated. It’s really awful. I try not to think about it too much, but people ask me. They’re like, “How does it make you feel that they combed through logs of your private Facebook messenger conversations with your sister?” I feel, I’m disgusted about this. Honestly, it doesn’t make me feel good. I think that you brought up an interesting question about what if somebody had access to everything that you’ve ever texted or messaged somebody? Because there was another conversation that the prosecution brought up, and it was about there was this event it was called, “Vault 7.” Do you remember anything about that that happened a couple months ago? Eric Klein: No, tell me what Vault 7 is. Brittany: I don’t remember the details, but it was a slew of released information. I believe it was something to do with WikiLeaks. I didn’t really know much about it, because a lot of that intelligent stuff, I’m not in that field. I’m not in that discipline. I had texted my sister and I asked like, “What about that Vault 7 stuff, that’s pretty scary, right?” Because I knew that she would know a little bit more about it, because that’s her job. She’s an intelligent. She could interpret that for me just like when she finds an interesting scientific article about nutrition or biochemistry, she can send it along to me, because I have a PhD in pharmacology. So, it just make sense that you would ask somebody whose expertise is in a certain field to help interpret the news for you, right? Eric Klein: Yeah, of course. Brittany: Anyway, so I found myself having to explain this to the prosecution, because they’re like, “Why were you talking about this?” I’m like, “Isn’t it obvious? I was asking about this event.” Anyway, so I said, “What about this Vault 7 stuff, it’s pretty scary?” She goes, “It’s awesome.” Of course the prosecution was like, “What do you mean by “it’s awesome?” Does that mean this leak or this event was very harmful to American intelligence et cetera.” I don’t know whether it was or not. I don’t remember from the event itself, but I did point out that there are multiple meanings of the word “awesome.” It’s something that’s huge in terms of scale. It didn’t necessarily mean that she was endorsing whatever had happened. She said that’s a very big thing that just happened. It’s inspires all, et cetera. Then I asked whether she was on Julian Assange’s side. She said, “Yes and Snowden.” That was the snippet of conversation that the prosecution brought up, that Reality was sympathizing with Julian Assange and Edward Snowden. Clearly, she was counter to America’s best interest because both of those individuals are accused of leaking classified information. You have to ask yourself, “What private view have you ever held that you would hate somebody else to latch onto?” You were just saying a character witness for every message that you’ve ever sent. Private citizens can hold whatever opinion they want about, just about anything, and that’s America. You can hold an opinion. It’s not a crime to say that you think that what Assange or Snowden did is right or wrong, but they’re bringing that up and they’re saying like, “This is evidence of who she is as a person.” I’m like, “Poll America. See how many people agree with them.” That doesn’t necessarily mean that they have criminal intentions. It just seems like thought police to me and I don’t know if you feel the same way. Eric Klein: I understand that she’s not eating the food she would like to eat. How is she doing as far as her diet goes? Brittany: As you and I’m sure everybody else has heard, she’s a vegan, so am I. I started it. I want the record or show that I was vegan first and then my sister became vegan after me. It’s a silly thing, but anyway, I know how hard it can be. Relying on plant protein makes you have to think very hard about where you get your protein and mixing the right amount. Economically, rice and beans will give you a complete protein. The diet that she’s being fed in the jail, she doesn’t get very many vegetables at all. When she does, they’re canned, but it’s just not very often. She won’t eat any of the meat that they prepare obviously. I think she very rarely gets fresh fruit either. It’s really hard for her to meet her nutritional needs not eating the meat that they provide. Eric Klein: She doesn’t get vegetables? What are they feeding her? Is it just a pile? I’m sorry, it’s difficult to understand what a meal is if without vegetables. Brittany: I don’t know if you heard, but in one of our conversations, my sister said, “I got a can of peas today, peas and corn.” She said, “Peas and corn are dope.” Of course, she’s not actually endorsing the food that they gave her at the jail. She’s trying to make light of a pretty bad situation, but apparently, Prosecutor Solari brought that up and that my sister must not be having that hard of a time in the jail, because she said that peas and corn are dope. As long as you have peas and corn, you’re fine. That’s all you need to eat. In some people’s world, that’s enough. My sister’s not endorsing it. She’s making a joke and she’s making light of a pretty terrible situation. Eric Klein: That is a little bit cruel. I didn’t understand that that was what was happening. Now, whenever Reality uses sarcasm, it can be turned against her by the prosecution and they can use those words against her? They can use her sarcasm against her. Brittany: Absolutely, they have this entire time, because they don’t understand her. How could they? Eric Klein: If you could get them to understand her, what would you tell them? If they were listening to you, if they cared about what you knew about your sister, what would you tell them? Brittany: I’d say first of all, you need to sit down and meet her. Look her in the eyes and talk to her like a human being, and you’ll see that she is one. Then listen to what she has to say. She’s a veteran of the Air Force. Doesn’t that mean anything? She served her country. She’s young. She could’ve done anything else, but no, she’s here to serve Americans and ultimately, that’s what she wants to do. I think that they need to listen to what she says to them, because what she says to me joking, hyperbole, things that we just said privately to each other, that’s not a conversation that belongs anywhere else than just privately between us. If they would just sit down with her, speak with her, then they would understand who she really is. I think that my sister is a very special person, and to really understand her, you need to meet her, which I hope everybody has a chance to do. Eric Klein: That’s Reality Winner’s sister, Brittany Winner. Later on in this episode, we’ll hear from Reality’s mom, Billie-Winner Davis. First, here’s Reality’s friend Matthew Boyle, who like her mother and her sister, has been talking to Reality on the phone from jail almost every day. Matthew Boyle: Most days, yeah. Twice yesterday. She didn’t call me today though, but yeah, she’s got nothing else to do in jail, so she gives me a call. Eric Klein: What’s that like? Do you know the schedule? Matthew Boyle: It’s usually about the same time. I go to work pretty early, so usually, I get off by 3:30, 4:00 and she usually calls me about then. Yeah, it’s usually about the same time. You never really know when she’s going to call, because sometimes she has other things going on. It’s weird, because there’s no text messages. We don’t really talk on the phone anymore in this country, so yeah we had to relearn how to do that. We’re so used to be like, you send a text and then you respond five minutes later while you’re doing other stuff. We had to retrain ourselves to do that. Eric Klein: That’s funny. Did you guys talk on the phone before? Matthew Boyle: No, never. We always text message. Yeah, it was weird like I couldn’t even recognize her voice there sometimes. It’s weird when she says the same things and now you can hear a voice reflection on it, that you never did before and it was just text. Eric Klein: All right, so yeah what’s your expert opinion then on the difference between texting and talking on the phone with Reality Winner? Matthew Boyle: It’s different. You get a lot more focus when you’re on the phone. You have to pay a lot more attention. Eric Klein: Remind me again how old, are you guys both the same age? Matthew Boyle: No, I’m older than her. I’m in my mid-30s and she’s in her mid-20s. Matthew Boyle: Oh yeah, I bought a bunch of emoji stickers and put them on the letters now, because I don’t know how to talk about emojis anywhere. Eric Klein: All right, good one. I’m glad I dug for that detail. Matthew Boyle: Yeah, things like that, just try and keep her motivated and connected to stuff. Eric Klein: Yeah, Matthew Boyle, tell me about your relationship with Reality Winner. I understand you’ve been with her family in the courtroom? Matthew Boyle: I’ve known Reality for I guess maybe a year and a half. We met in May or June in last year and started dating at the end of June or early July, I think of last year. Eric Klein: How’d you meet? Matthew Boyle: We went to the same crossfit gym together, so we worked out together. Rea’s a spectacular athlete. I’m a 5’10, 170-pound very lean guy. She’s as strong as me for the most part. There are things that I’m definitely stronger than her at, but she is, in terms of athleticism, she’s pretty elite, a lot better than I am. Eric Klein: Is she able to exercise as much as she would like right now? Matthew Boyle: No. Right now, she has no access to any exercise equipment. I don’t think she even get sneakers, she just gets Crocs. A lot of times, just running in place for 45 minutes. She sent me some of her workouts that she’s doing, where she does often. There’s a, it’s called, a pistol squat. It’s a one-legged squat below parallel. You can Google it if you can do it. I’ll give you mad props. It took me about a year how to learn how to do it. It’s just a body weight thing, but it’s very tricky. You have to have a lot of balance and flexibility. I can do maybe five. She was cranking out 200 in jail. She doesn’t have access to sneakers, so she runs barefoot in a dirt yard when she can, if she’s lucky enough to go outside for half an hour, run a circle. Also, the food, she doesn’t have any sources of protein in prison, because she is vegan, and she takes that pretty seriously. A lot of times, it’s just some canned vegetables and a big potato and that’s what they feed her. Eric Klein: Yeah, actually I heard that that’s one of the issues. Matthew Boyle: Yeah, that’s one of the things we’re working on. I’m actually researching that. I want to find a way to make everybody happy here. The jail, it is a very small jail and it’s in a very rural area. Obviously, they don’t really have a lot of vegan inmates in South Georgia, Southwest Georgia area. I understand, I believe the jail has a position that they can’t treat her special, so they obviously won’t let us send food packages or anything like that. We’re hopeful that we can find a happy medium where they have a store car where they’re allowed to order certain items, but there’s no source of protein like vegan protein, just protein shakes or protein bars, or even anything like that is mostly just junk food. Maybe we’re going to try and work with them. Maybe we can get the food stock wherever they’re ordering from, or anything that we can do just to get without violating their rules to make sure that we can get her a good source of healthy protein and nutrition. Eric Klein: Is she feeling okay with the diet? Matthew Boyle: I don’t know she’s sick all the time. Matthew Boyle: Yeah, she’s very sick all the time. She’s getting antibiotics a lot. Eric Klein: Oh, no. What’s wrong? Matthew Boyle: Yeah. She goes in the depth with her mom about it and that’s who she wants to talk to about it. She understands that a lot better with her mom, as more comfortable talking about that. Eric Klein: What do you guys talk about? Matthew Boyle: Different things. She likes to talk about her cat, her family, her sister, her mother, her stepfather, she adores them a lot. Different types of music that she’s … She doesn’t have any access to music, so until then she makes a playlist for spin the class and sends them to me. Eric Klein: She makes a playlist for, was it, is this for her spin class that she was teaching before the [crosstalk 00:27:27]? Matthew Boyle: Yeah, so she was teaching spin and that’s something she was really into doing, spin by classes. She’ll compose a playlist in her head and then write it all out each song and why she chose that song, and the tempo that it goes with and sound it even though she obviously doesn’t have Spotify or access to any of that stuff anymore. She calls it recycling, because she goes by re. Eric Klein: Matthew, what do you think people need to know about her case now? Matthew Boyle: I think what people need to do mostly is pay attention. This is not just because of reality, but because of what this represents. The law that she’s charged under. She’s not charged leaking classified information, she’s charged with espionage. She’s charged the same as the Russian spy, and that’s just … To me, that’s just wrong. Just morally, legally, principally, there’s a difference between leaking a document that the government is trying to suppress or that the president doesn’t like and a spy. Charging her with something like that, it’s ridiculous. If they’re allowed to do that, then what’s to say that they can’t charge you for a spy if you talk to somebody foreign? It just doesn’t make sense. They’re using the wrong law and they’re trying to come down like a ton of bricks on somebody for something that David Petreaus did plead guilty to. He’s a four-star general and CIA director, did pled guilty to. He didn’t serve a day in jail, not one. She will serve close to an entire year in jail before her trial if her bail appeal does not go through, which is a pretty uphill battle. That’s what people really need to do is they need to pay attention to what’s going on and how our government is treating her. Eric Klein: Matthew Boyle, tell me about ASA? What’s ASA? Matthew Boyle: A few years ago, Reality got into Athletes Serving Athletes, which is a foundation that pushes disabled children in wheelchairs for races, marathons, half marathons, 10Ks. If you’ve ever been to once and then just see the disabled child and the jogging wheelchair and a team around him, Reality was, I mean that was it. Whenever there was an ASA event, frankly it didn’t really matter what I wanted to do or if I had plans. That was something Rea was dedicated to. That was something that she really loved, and nothing was going to stop her from doing that. Eric Klein: You guys would both be pushing? Matthew Boyle: Oh no, she would be pushing. Eric Klein: Okay, so you would just have to run next to her? Matthew Boyle: No, I would just either, I just couldn’t make plans with her that day or I’d have to come as spectator. She’d been doing it for years, so she had a whole team that she worked with. Eric Klein: Matthew, one of the things that’s on my mind when we’re doing this podcast is just that Reality Winner’s, she’s not a very well-known person right now. She’s being held in jail by the Trump administration for her whistle-blowing, but she’s not a famous whistleblower. What do you tell people? How do you explain to people what they need to know about your friend Reality? Matthew Boyle: Mostly I tell them is just start paying attention and to checkout the website. I’m really hopeful about future coverage in the media. I think in order to understand even the basics or understand anything about Reality, what’s happening to her, you’ll need long form journalism. You need to sit down and take the time. With our crazy news cycle now, after about an hour when some things, when you get some scary news alert that something happened somewhere, people just tend to glaze over. I don’t think you can really get the … You just ask them like, “Hey, keep it on your mind. Look at this. Take your time. You don’t need to talk about it right now, but pay attention to this.” Eventually they do, I think. Eric Klein: That was the voice of Matthew Boyle, Reality Winner’s friend. You’re listening to the Courage To Resist Podcast. My name is Eric Klein, and you can find out more about supporting Reality Winner at the campaign to free her online at standwithreality.org. That’s one word, standwithreality.org. Next up, we’re going to hear from Reality’s mom, Billie Winner-Davis. Billie Winner-Davis and I last spoke on this podcast in the summer of 2017. That was just a couple months after her daughter’s arrest. Billie: Since the last time that you and I talked, I did retire. I left Child Protective Services at the end of August, so that I could be freed up to relocate to Georgia. I actually made the trip up to Georgia at the end of September and moved into the house that Reality had rented there in Augusta. We had another bail hearing. The court did set another bail hearing for Reality on September 29th and so we went in and I think we had our hopes up way up a little bit too high as far as thinking that this time she would absolutely be granted bail. I say we had our hopes up maybe too high, but I don’t think it was too high, because really there’s no reason why she shouldn’t not have been granted bail, but yet at the end of that hearing, the following week the court issued a written order that basically again denying her bail, and so she remained in jail. Eric Klein: Tell me why you expected Reality to be released on bail? Billie: Part of the reason why she was not granted bail at the first hearing was because the government, the prosecution was indicating that there may be more charges coming. They were hinting that she perhaps have made more crimes than what she was originally being charged with and that they just did not have all the information that they needed at that time. They didn’t know how serious this was, but they needed time to go through all of the mountains of evidence as they put it as far as all of these cellphone she had, the computers that she had. They felt like there was going to be so much more to this. Then of course, the court indicated that she didn’t appear to have ties to the Augusta, Georgia community that she had been there for such a short time, that there was really no way that he could be sure that she would remain in that area and would appear at any other hearings. He indicated, he went with the defense that there appeared to be more to this, that nobody knew exactly what all information that she may have or what they may find, and then that she didn’t have ties to the community. When her defense was preparing for the bail hearing, the second bail hearing, basically, the prosecution has found zero, nothing more. There’s been no further charges, there’s been nothing and in fact the prosecution actually admitted that they had made some statements that were not true during the last bail hearing, during the original bail hearing. They had indicated that during a phone conversation with me, Reality had indicated that she had perhaps leaked documents, plural, but that wasn’t the case. They had to retract that and say, “No, we were mistaken.” Another conversation that Reality and I also had while she was in jail, they also had to retract that and say, “No, we were wrong about how we presented that information.” We knew that going into this second bail hearing that again, the things that the prosecution had really strongly objected to her being released done, there was nothing there. There was nothing to it. Then as far as the ties to the community, my relocating to Augusta, living in the same home, being there to be her third-party custodian as they called it, that would definitely be something that would give her the tie to the community. We just did not believe that there was anything that would possibly make the court feel like she was a flight risk or that she was a danger to her community. Eric Klein: Billy Winner-Davis, how would you describe how your daughter, Reality Winner feels right now about her situation compared to the last time we spoke a few months ago? Billie: She’s angry. She’s very angry. She feels like this, like she’s being treated as a political prisoner. Those are her words. She feels like of all of the possible people out there that are given bail and for her to be denied, she does feel very much like there’s a lot of politics going on here and that this wouldn’t be happening to somebody else in a different time. Her defense put up, they put up a lot of information and facts as far as any other individual who’s ever been charged under the Espionage Act. She is the only one that’s been denied bail. It’s just it’s so unfair and it’s so unjust. There are days when she absolutely feels like no matter what happens or no matter what we can possibly show that she’s going to remain in jail for the rest of her life. She does feel very powerless and hopeless in this. Eric Klein: I’m wondering if any of the work that’s going on right now, you’re a mother and you’re working very hard on her behalf, but does Reality Winner feel like she has enough support? Billie: She knows that there are people who are out there who are really, really supporting her, but she just doesn’t feel like it’s making a difference or that there’s enough. During one of my visits with her, I told her, basically all that I’m doing, my Facebook is not my Facebook anymore. It’s my site for Reality Facebook. I tell her, I’ve got 400 Facebook friends. She’s like, “That’s great. That’s 400. That’s not going to do me a lot of good in here.” Then she says, regardless of what the support is out there, unless we’re loud enough to make a difference and to really put some pressure on the Department of Justice and the court system, it’s really not going to do her any good. She just feels like there needs to be more. There needs to be a lot more focus on what’s going on. We’re all at first when she was first arrested, there was so much media attention to her case, but now there’s very little. I understand. I know that there’s a lot of other news out there, but the American people are forgetting that she’s in there, day in and day out. It’s not fair. This is not justice. Eric Klein: When did you last visit with your daughter Reality Winner? Billie: I visited with her last Sunday. She’s being held at a very small facility outside of Augusta. It’s not even in Augusta, but it’s outside of Augusta. It’s a very small facility. She doesn’t have her own cell. She basically shares a common cell room from, anywhere from seven to twelve other females. This is a county facility, so they’re not equipped for long-term incarceration. All of our visits, all of our phone conversations are recorded and all of our visits are between glass and over a phone that’s recorded. Eric Klein: You said it’s not equipped for long-term for holding prisoners. How does that manifest itself? What kind of conditions is Reality Winner living in this facility? Billie: I think you might be aware, she’s vegan and she also follows the Kosher diet. Of course, a facility like this is not equipped to meet her nutrition needs. They don’t have the resources available to have special diet needs for any of the inmates. Country facilities usually are not set-up that way. Her nutrition needs are definitely not being met. A good day for her, and I think that this was part of the transcript for the court, a good day for her was she told her sister that she had peas and corn and it was dope. Peas and corn are dope. What she was meaning was is that that’s all that she had that day, is she had some peas and she had some corn. She feels like she’s really, really lucky if she can convince the other inmates to give her all their vegetables so that she at least is not starving. She’s not going to break her diet, because that’s something that she strongly believes in. The facility is not equipped to meet her nutrition needs. Eric Klein: You’re saying she’s not getting big enough portions of vegetables? Billie: It’s not just that. Being vegan does not mean that you eat all vegetables. She needs a protein source as well. Although this facility has, they tried to work with her. She’s met with the captain of the jail, she’s met with the actual kitchen staff to try to educate them on basically what’s a good protein source for her. They have tried. I want to say that the jail staff there, they are good. They are good people and they are trying to do whatever they can to meet her needs. What they do now is they will make sure that she gets a tablespoon of peanut butter to give her protein source. Billie: When you think about it, think about your meal tonight with your family being maybe two helpings of corn and a tablespoon of peanut butter, how is that going to work for you? Eric Klein: Reality has been living with these conditions for close to five months at the time we’re recording this conversation. How’s her health? Billie: Several times, she has to be put on medications to help her digestive system. Then she’s also having to be put on antibiotics periodically for infections. We know that something’s off balance in her system. What’s happening is she’s developing cysts and so there’s some infections going on. She’s had to be treated periodically on a routine basis with antibiotics and medications. Eric Klein: Yeah and better food might help that a lot. Billie: Yes, and absolutely better food would help that a lot. The day of the hearing, the hearing was a five-hour hearing, and of course she had to then transported maybe three hours before. Then her transport back to the jail, so basically she was looking at a 12 to 15-hour a day. We were very worried about what she was maybe, she had eaten that day, because we had not. We couldn’t leave the courthouse and so we were hungry. That night when we asked her, “Did they feed you?” She said, “Yeah. They packed me a sack lunch.” Her sack lunch contained three tablespoons of peanut butter and a package of Lays potato chips. That was all that she ate during that entire 15-hour trip. Eric Klein: Is there any fresh vegetables at all available or is it all canned food? Eric Klein: What’s the answer? Billie: The answer is no. I had reached out to the captain of the jail. I told him that there’s a lot of concern about her diet and her needs. I’ve let him know that there are people out there, and there’s organizations and people who are willing to send food not only for her but for all of the inmates, not to have any preferential treatments, such as protein bars, and fruits, and fresh vegetables. His answer has been, “No, we can’t do that.” We try. We do try. Eric Klein: What else should people know? Because now, we’re in a moment where there’s not a whole lot that’s going to change and as far as the next hearing, right is in March? Billie: Right. Her defense team has filed an appeal of the bail decision. At this point then, it’ll go up to the next judge, which is I guess the district judge there in Southern Georgia. I believe his name is Judge Hall. He has the option of just basically ruling based on all of the information that’s presented to the court, or he could set it for another bail hearing. We won’t know for a little bit about what he’s going to be doing. The defense team does plan to take this all the way. They are not going to stop fighting for her to be let out on bail pending her hearing in March. Like I’m saying, they agree. There’s no reason why she should be denied bail. She’s not a flight risk and she’s not a danger to her community, and so they’re not going to stop fighting that. Then of course, they’ve got a lot of motions and petitions and things like that out there to the court. Of course, I don’t know a lot about that. I’m not involved in the legal process, because I’m not their client, but they do contact me periodically just to let me know what they’re working on in general and to just I guess give me a peace of mind that they’re actively working every single day on this case for her. Eric Klein: You can’t bring her food, what can you bring her? Billie: I cannot bring her anything. I can send her stamps and money orders for her account there at the jail. I can send her pictures and letters. I can’t take anything to the jail. I was able to actually mail the captain of the jail items for her shoes. They were concerned about her feet and any chance that she gets to go outside, she runs. At first, she did not have any shoes so she was either running in the barefoot or she was running in her stocking feet, on her socks. I was able to send her a pair of running shoes, and then I was also able to recently send her retainers for her teeth to the captain. That’s only after I have a conversation with him, and we worked out the details of that. The general public can only send her letters, stamps, photographs, and then of course put money in her account so that she can purchase things that she needs, such as soap and shampoo, towels, things like that. Eric Klein: Billie Winner-Davis, you were telling me about how your daughter Reality Winner, she goes for runs whenever she’s allowed outside there in the jail. How often is she getting out into the fresh air? Billie: Prior to be incarcerated, she would have been outside running every day, but unfortunately, her outside time, the yard time there for the females is really inconsistent. It depends on which staff is there. It depends on whether they have enough staff. It depends on how the staff feel. It depends on the weather. The staff don’t want to get their hair wet, if it’s drizzling. Yeah, that’s one of her probably the saddest thing for her is if she could just depend on having outside time every day, life would be a lot easier for her, but she doesn’t have that. She says that the males at that facility, they go outside every single day without fail, but when it comes to the females, the staff don’t seem to I guess honor their rights as much as the men’s. It all depends on how they feel that day or how many staff they have on that day, or whether they want to do it. She doesn’t get to go outside every day. She’s basically confined to one room 24/7, and her outside time is the only time that she gets any escape to that. That’s in a of course a fence yard, and it’s very small, but when she does get to go outside, she runs the entire time. She’ll run around the yard the entire time. Eric Klein: That’s really jaw-dropping that if she was a man, she would have outdoor activity every day in that facility. Billie: Yes. What she guesses the reason is, is because if the men didn’t get to go outside, they would riot, but the women will not and so the staff don’t feel like it’s something that they have to put any importance on. I did make an inquiry with ACLU on some of the issues that Reality had shared with me, but unfortunately they declined to investigate any of it so far. Eric Klein: Billie Winner-Davis, I know you’ve been active on Facebook recently. Should people follow you on Facebook? Billie: I welcome as many friends on Facebook that are in support of Reality. I welcome my Twitter. I’m on Twitter as well, [@BillieJDavis 00:51:31]. We have the standwithreality.org. If you just go, sign up for the newsletter. I think we need people to continue to keep Reality’s story out there and to be aware of it, and to keep it out there in the focus, because really what’s happening to her is absolutely not right. This is so unjust. 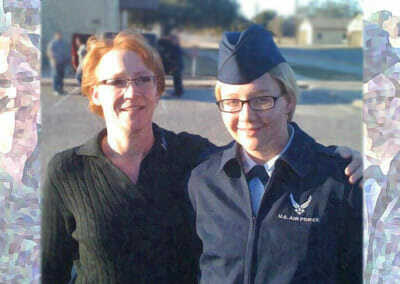 I know I keep saying that, but to this day I sit here and think that my daughter, a veteran of the United States Air Force is in jail, denied bail, and to me I can’t even imagine it, because to me it’s so unreal. She doesn’t deserve this. She definitely deserves to be out preparing for her defense with her attorney. It’s heartbreaking for a parent, but then it’s also, I’m so outraged by the injustice that’s being done in this case. Eric Klein: That was Billie Winner-Davis, mother of Reality Winner. Reality Winner is a whistleblower being held without bail by the Donald Trump administration for helping expose Russian hacking efforts leading up to the 2016 US election. My thanks today to Matthew Boyle and Brittany Winner who you heard earlier in this episode. 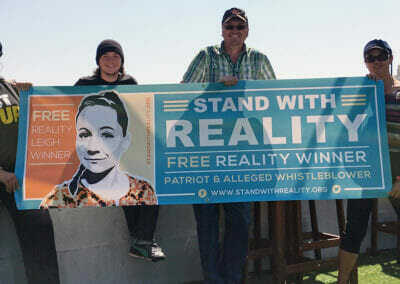 The website of the campaign to free Reality Winner is standwithreality.org. 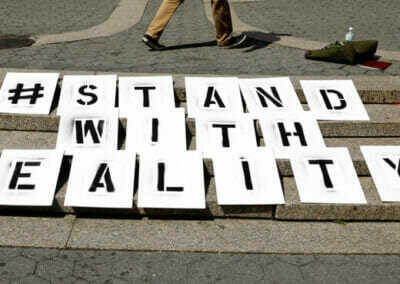 That’s all one word, standwithreality.org. This is the Courage To Resist Podcast. My name is Eric Klein. Thank you for listening. This Forth of July, Reality Winner sits behind bars for allegedly acting upon her commitment to stand up for a government free from tyranny. New "Stand with Reality" awareness campaign to fund legal defense for alleged election interference whistleblower. Like Chelsea Manning and Edward Snowden, she’s a courageous whistleblower who gave the media info clearly of public interest. Now you know why Edward Snowden and Julian Assange will never set foot on American soil until a future U.S. President grants them a full pardon for all past and present crimes. They’ve seen what’s happened to Chelsea Manning and Reality Winner, and they have no intention of letting the government throw them in a gulag and let them rot there. You have got to be joking. Assange practically got Trump elected by himself, with his obvious focus on Hillary Clinton and ignoring all of Trump’s glaring problems. Assange is a fascist sympathizer and enabler. He has been almost invisible since the “election”. Wonder why? Irminsul, Julian Assange has been practically invisible for the last 5 years, not just since the Presidential election. He’s taken refuge in the Ecuadorian embassy in London so the terrorist United States government can’t lock him up in some gulag and torture him, like they did Chelsea Manning. While US mass media bombard the people with odd messages of “Russia hacked the elections”, somehow Reality Winner is treated this way. The notion that Russia wanted to alter the elections directly is not proven and intelligence reports about this are weak, but what she leaked seems of great democratic importance. What I am trying to say is that there is an odd cultural contradiction: on one hand there is huge propaganda against Russia, but on the other hand she is detained in prison before her trial and treated like a traitor. Why is truth in a so-called “democracy” so shunned? One can say that revealing the document to the media was illegal as such, that said she is entitled to better treatment as she has not committed a violent crime or assaulted anyone. She should be considered innocent til proven guilty and free until a court sentence is given. She violated the law. What is wrong with you people? Because Rosie O’Donnell thinks the documents should not have been CLASSIFIED??? That’s not how it works. Secret/NOFORN and CLASSIFIED documents are handled a special way because they MUST be handled a specific way. Send her to PRISON. She was a member of the United States Air Force. She knew the rules. It’s because of Chelsea/Bradley whatever…people feel empowered to expose Classified Documents? NO! It is against the law. Period! Jerry, any law that Reality Winner violated was illegal. It’s like an illegal contract – it’s unenforceable. The government classifieds anything it wants, including known facts and cover-ups. The government isn’t protecting national security. It’s protecting itself and hiding its criminal and treasonous acts, and anybody who exposes that is not a criminal, but a patriot. Just read what’s going on with the United States naval scandal over maintenance contracts of our ships off the coast of Singapore. It’s the biggest naval scandal in the history of the navy. Officers, all the way from lieutenants to admirals, were accepting all kinds of bribes from a gangster-businessman, named “Fat Leonard” to release classified information of when ships would dock at ports in Singapore so that he would know before anyone else when the ships would dock so he could be the first to put in a bid to service them. These high ranking naval officers were being bribed with cash, prostitutes, hotel suites, and expensive meals. So far only one person, Capt. Daniel Dusek, has been sentenced to prison, and all he got was 3 years and 10 months. The rest of them have either been given a pass (they won’t be prosecuted) or they’re plea bargaining their cases down to misdemeanors. 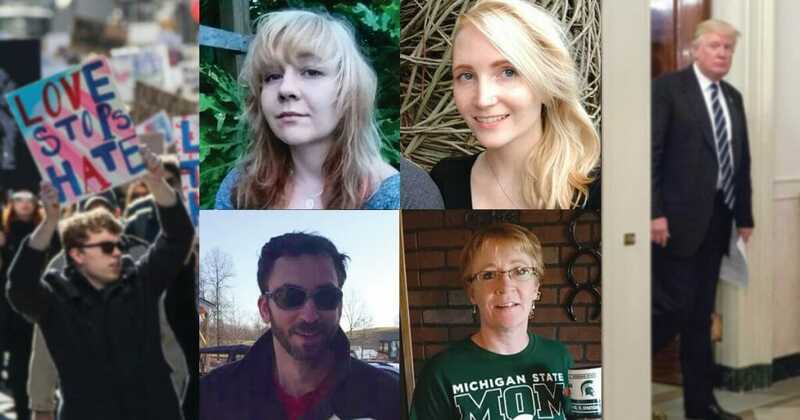 None of them has been put in jail or asked to post bond, yet Reality Winner who got no benefits for trying to warn the American people that the Russians were trying to hack into our election, not only got thrown in jail, but was denied bond as well. There’s no justice in America anymore. 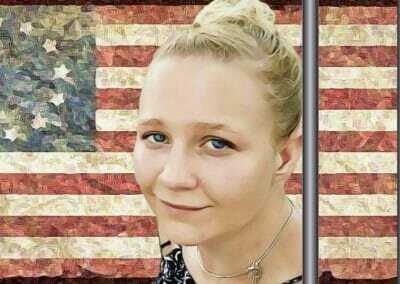 As we approach President’s day, in honor of 2 of America’s greatest President’s, Washington and Lincoln, it’s time to face the facts about what our tyrannical government is trying to do to Reality Winner. By trying to limit what she can say in court, under the false premise of protecting national security, the government is attempting to deny her the right to have a fair trial. She can talk about any trivial thing, like grandma’s butter cookies or the price of tea in China, but the government will object to anything she says that helps her in her defense. In effect, they’re conspiring to deny a fair trial. Let’s just hope we get a decent judge and a rational jury. Bottom line: Anyone should think tiwice before voluntarily working for the US governmnet. If convicted, she won’t have to endure sleeping in the streets or going hungry. Let’s hope that she can develop mindset gratitude of being free from lusting after the US “success” myth that captivates so many. .
As we approach March 19, 2018, Reality’s day in court, it would be great if she got a decent judge, unlike Brian K. Epps, the judge who denied her bond. I can’t help but think about the standoff a couple of year’s ago between the Nevada cattle rancher, Clivon Bundy and the FBI. The FBI sent almost 200 armed agents to collect an unpaid grazing bill for his cattle on federal land. You’d have thought they’d have sent a bill collector. To make the long story short, Clivon, his friends, and neighbors, went out with their rifles and shotguns to meet the terrorist agents of the FBI, who eventually backed down. Clivon was later arrested for the Nevada standoff while joining the Oregon militiamen who refused a government order to leave the Oregon national wildlife preserve that they had been ordered to leave, although Clivon was not involved in any standoff this time. He was arrested and spent 700 days in jail for the Nevada standoff – denied bond, like Reality – and then the federal judge threw the case out of course, calling the government’s actions disgusting and despicable. That’s what I want to hear the judge say on March 19, 2018. I absolutely cannot believe what I just read when I googled “Reality Winner.” That same judge who denied her bond, Brian K. Epps, has just continued her trial from March 19th to October 15th. This is nothing but government terrorism. The government is trying to destroy her life by incarcerating her without a conviction and denying her bond. This nightmare gets worse every day. The people have got to do something about this. I just read on the website “Reality Winner”, an article about one of Reality’s former fellow inmates, a young girl named Mikaela Uscanga, who has told what’s really going on in that concentration camp, called the Lincoln county jail. It’s obvious that the government is not only using the courts, but the penal system against Reality. She’s been attacked in jail, no doubt with the encouragement of the Nazi guards, as well as continuously denied a proper diet of fresh fruits and vegetables, which she depends upon aa a vegan. I now know that if I have any important documents to send Reality, I will send them to her attorneys, Bell & Brigham, at 457 Greene Street, Augusta, Georgia 30901. I’m not going to give the Gestapo the opportunity to interfere with Reality’s mail. If you just read my previous comment, dated May 5, 2018, forget about my last sentence, where I said to send any important documents to Reallity’s attorneys, Bell & Brigham. That was a bad idea. They’re too busy to be taking Reality’s correspondence. They’ve got enough to do without being a middleman for Reality’s letters, and, on top of that, if you send them anything and take up their time, they’re liable to send you a bill. They seem like some great lawyers, but they’re lawyers, and if you take up their time, they’re probably going to send you a bill. Lawyers will charge you if you call them up and ask them the time of day. Once again, they’re very dedicated lawyers, but they’re still lawyers. Glory Halleluyah! I just googled “Reality Winner” and read one of the articles that said she’s going to plead guilty next week, under a plea agreement not made public. Praise the Lord. I’m sure she’ll be sentenced to time served. With all her lawyers, I don’t think they’d have accepted anything else. It really doesn’t matter what she pleads guilty to. Everybody knows the terrorist United States government was using psychological torture against her by denying her bond and constantly continuing the case. The U.S. government is worse than our enemy governments. When the U.S.S. Pueblo was captured by the North Koreans in 1968, the sailors called themselves spies and condemned the United States government, and when John McCain was captured by the North Vietnamese in 1967 , he criticized the United States government for its aggression in Vietnam. They were tortured just like Realty, but in Reality’s case it was her own government that tortured her. She’s every bit as big a hero as John McCain. Damn the United States government. I hope I’m wrong, but I just read on the internet that Reality was going to accept a 63 month sentence in her plea agreement. She shouldn’t do 1 more day in jail. She never should have any time in jail. I hope this is just a possibility that’s going to be ignored. That’s no plea agreement at all. That’s pure government terrorism. Nobody who tries to save our democracy from a foreign government should ever be prosecuted, much less imprisoned. I just talked to Reality on the phone, and she told me she’s going back to court for the sentencing on Thursday, August 23, 2018. I just hope that judge sentences her to time served. I may be wrong, but the way I understood this plea agreement, she agreed to a 63 month sentence, but that doesn’t mean the judge has to give her that sentence. I’m just hoping he/she is a rational judge and tells her to go home. I just heard the news. Reality got 63 months for trying to protect our democracy. The madness gets worse every day. Here’s my final comment on Reality Winner. This plea bargain for a 63 month prison sentence was insane. Her lawyers completely botched the case. The good news is that Donald Trump seems to have had a change of heart about Reality. He now says she was treated unfairly, whereas before he called her a traitor. The good news is that he now appears to be on her side, and therefore there’s hope he pardons or commutes her sentence to time served. Trump is insane, but that’s fine with me as long as he lets Reality out of jail.